RSPB Discovery Centreon the edge of Fairhaven Lake near the resort of Lytham St Annes presents an interesting visitor attraction with interactive displays and volunteers who will explain all about the wildlife on the Ribble Estuary, one of the best areas in the world for different species of birds. The centre one of Britain’s most famous bird sanctuaries with hundreds of thousands of birds passing through every year. A popular venue with twitchers. Special walks, talks, displays and activities throughout the season with the resident RSPB warden. An ideal attraction for school parties. In the summer months there are also lots of boating activities on the lake. 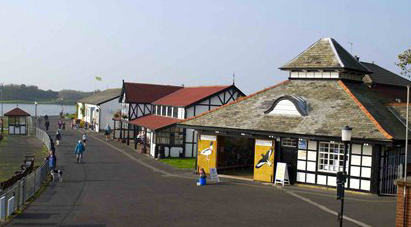 The centre is open Tuesday to Sunday 10am to 5pm all year round and all the activities are free of charge.